The Apple Watch may not be the best gadget from Apple but it is definitely heading towards that direction. It is one of the most incredibly designed and compelling product of Apple by far. It may often be misjudged due to its high price tag, but this Apple wearable is indeed a genius device gadget enthusiasts shouldn’t miss. 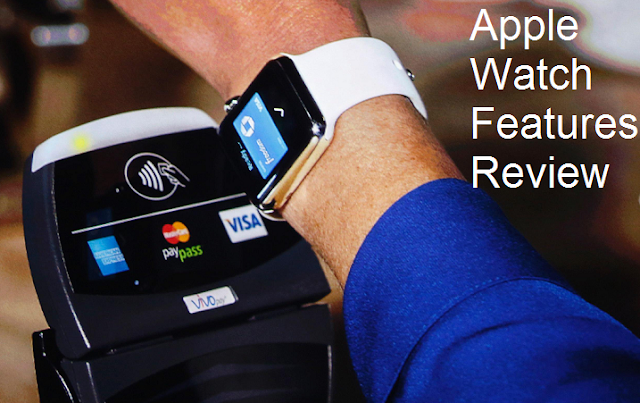 Today, we are writing detailed Top Eight Best Apple Watch Features Review. Here are some of the cool things that you can do with Apple’s wearable smartwatch. This SmartWatch is the extension of your smartphone. It acts as the second screen of your phone. The gadget will light up whenever someone is calling you. Tap the green button and you can answer the call on your watch. You can also opt to transfer the call to your iPhone, Bluetooth headset, or your car’s speakerphone. It is definitely very convenient when you are out mountain-climbing or running a marathon. You can still go out without worrying about missing an email with your watch. Bringing your iPhone all the time may not be possible if you enjoy a fast-paced and active life. You can still check emails, read, unread, flag, and delete messages even when your phone is not around with this device. If you are in the middle of a meeting and you have unfortunately forgotten to turn your iPhone into silent mode, you could simply mute your phone with a simple swipe over the screen of your Apple Watch. That awkward feeling of having to fetch your ringing phone on your pocket and the potential of dropping it on the floor in the middle of a make-or-break meeting will never have to be part of your most regrettable experience. The Apple’s SmartWatch also includes the Friends feature wherein you can stay connected with the people you speak with the most. With a simple tap of the button, you can call, contact, or send a message to your special ones. It also comes with tons of Emojis simply because you enjoy using them. The Apple wearable can measure your heartbeat by taking a pulse reading from your wrist. This is considered as a basic smart health feature in most fitness gears, but with this gadget, you can also share your heartbeat readings with others. You can send your vital signs to your wife, kids, your mom, and even with your fitness instructor. The watch comes with a sketch tool that allows you to draw anything and send it to one of your contact. You can scribble a few hearts and send it to your loved one or a funny image intended for your friends. You could simply scribble anything in mind and let your receiver know that they are remembered. You can install a dedicated workout application on your SmartWatch that will let you set your own goals. You can check if you’re catching up with your goals with a simple glance on your wrist as well as the calories you have lost and the distance you have covered during your workout. The Apple Watch price in some countries like Pakistan, India, Philippines, Indonesia, Malaysia, USA, UK and many other, is indeed costly but it is definitely worth the price. Besides the early cool stuff that you have read from above, personalizing your SmartWatch makes it a versatile watch and fashion statement you can bring anywhere. It has removable straps that can be removed and replaced with different ones as you wish. You can have the sport band while you’re running in the morning or the metal or leather link while at work. There are still a lot of cool things that comes with the Apple wearable. It all depends on how you intend to use it and how intuitive you are to discover the other cool features it has to offer. Find more wearable smartwatches at discounted price on PricePanda.